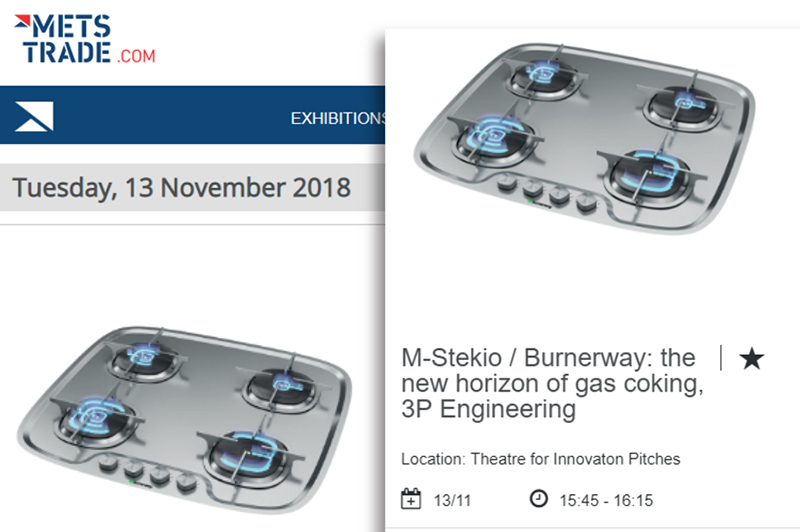 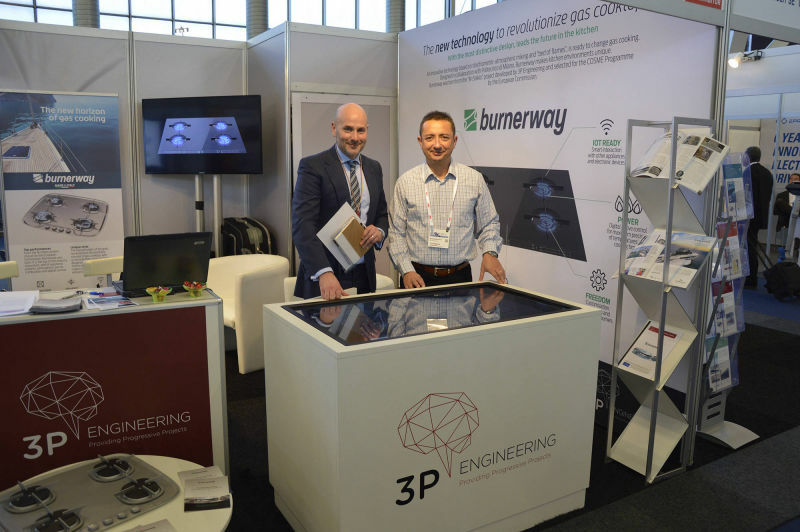 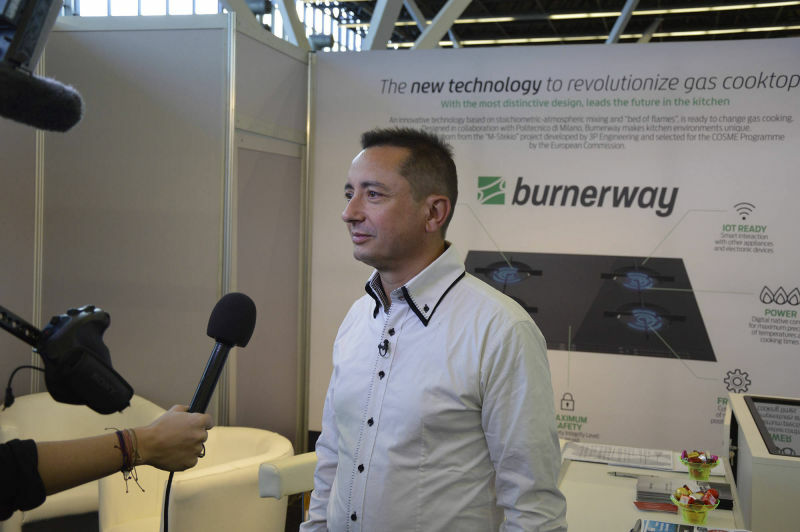 At Metstrade, 13-15 November 2018, in Amsterdam, The Netherlands, 3P Engineering has announced Burnerway, the revolutionary gas cooktop -8 patents registered – that was born from the M-Stekio project, selected by the European Commission for innovative scope (Cosme Programme, GA n.733513). 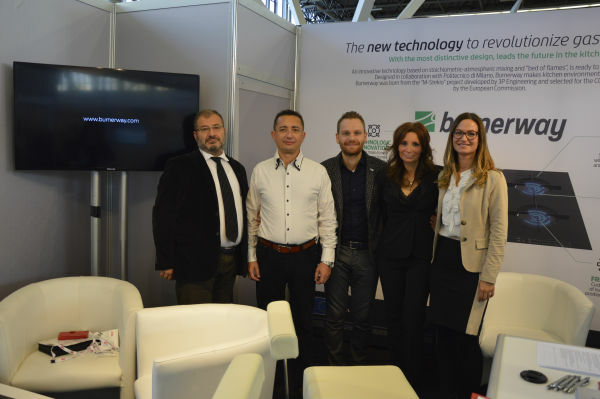 The Burnerway team at Metstrade: from left to right, the two managing directors of 3P Engineering, Rosalino Usci, M-Stekio Design & Technical Manager, and Michele Marcantoni, M-Stekio Project Manager; Matteo Canestrari, M-Stekio Technical Expert; Francesca Galeazzi, M-Stekio Dissemination Manager; Martina Mercanti, M-Stekio Project Manager Assistant. 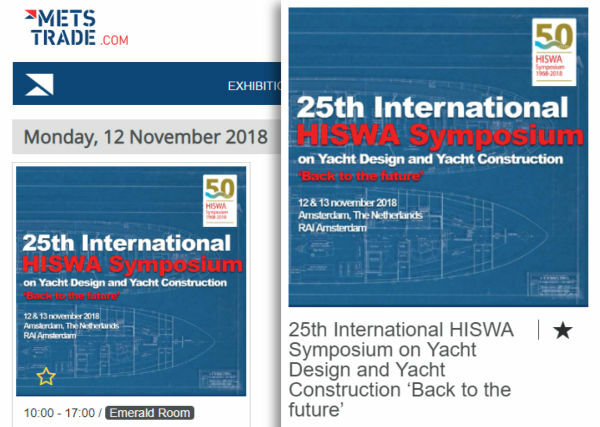 Rosalino Usci, M-Stekio Design & Technical Manager, participated in the "25th International Hiswa Symposium on Yacht Design and Yacht Construction, 12 & 13 November 2018, at RAI Amsterdam. The innovation of M-Stekio / Burnerway is enhanced by the design of the new cooktops, whose design has been developed in collaboration with the “Politecnico di Milano”: Michele Marcantoni, co-CEO of 3P Engineering and M-Stekio Project Manager, has illustrated the new technology based on eight patents registered. 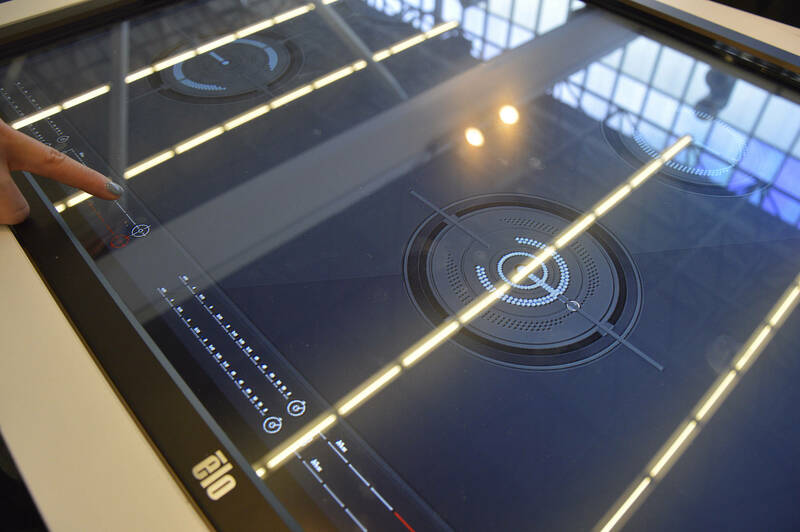 The new technology is able to evolve not only the way of cooking, but also the aesthetic concept of the gas cooktop, thanks to the reduced height of the grids and the HMI touch screen. 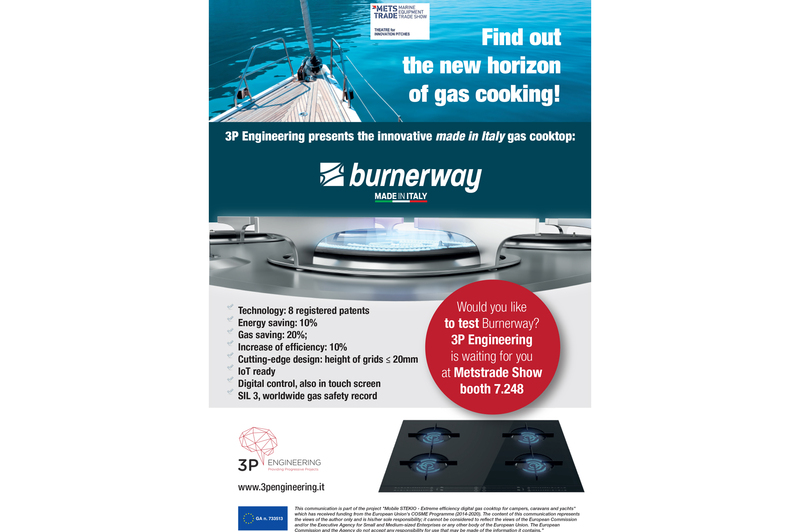 At booth 7.248, 3P Engineering presented the innovative M-Stekio technology exposing the Burnerway mockups of the new cooktop whose design has been developed in collaboration with “Politecnico di Milano”. 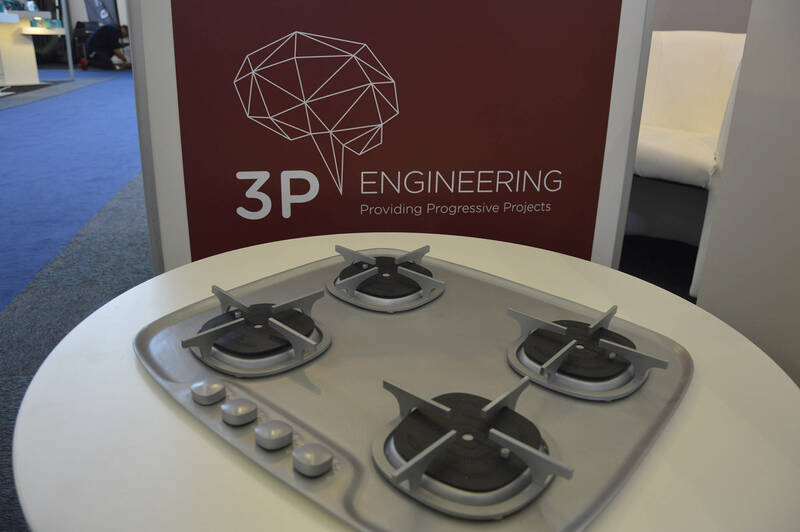 On show, two cooktop configurations: the "Squircle" cooktop with 2 , 3, or 4 burners and the "Black" cooktop with 4, 5 or 6 burners. 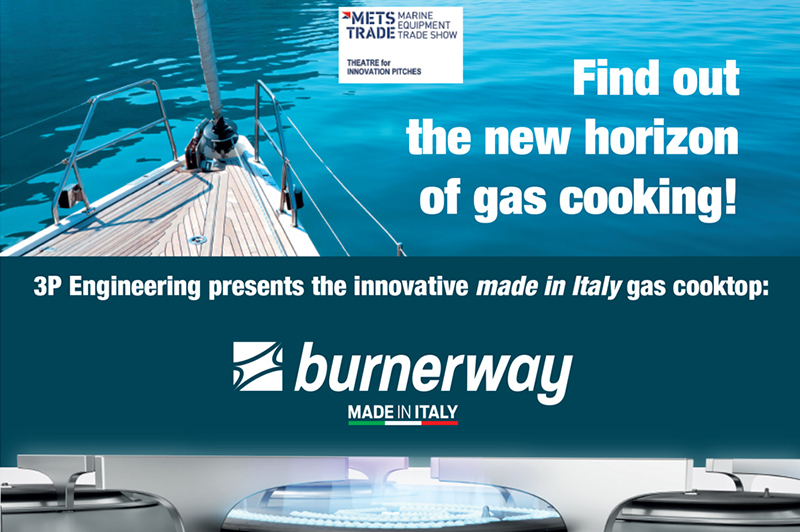 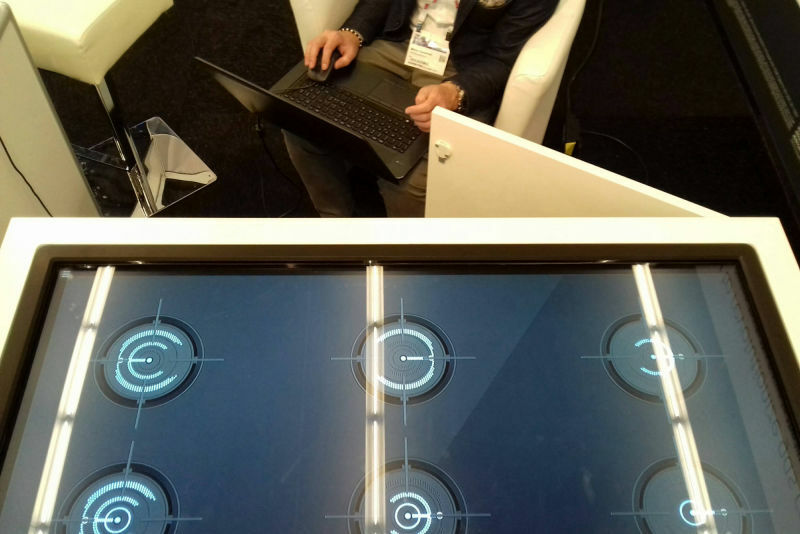 At Metstrade, an interactive touch screen workstation at booth 7.248 of 3P Engineering, to reproduce M-Stekio technology, has allowed to test live the benefits of Burnerway, the first gas cooktop with digital native control. 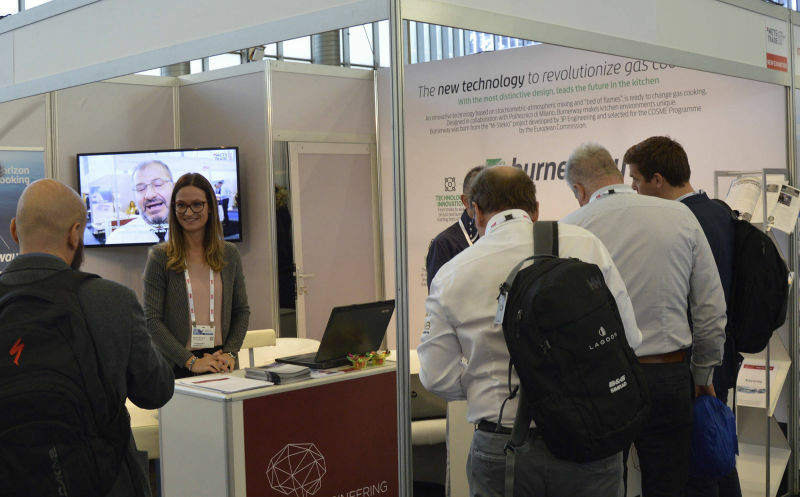 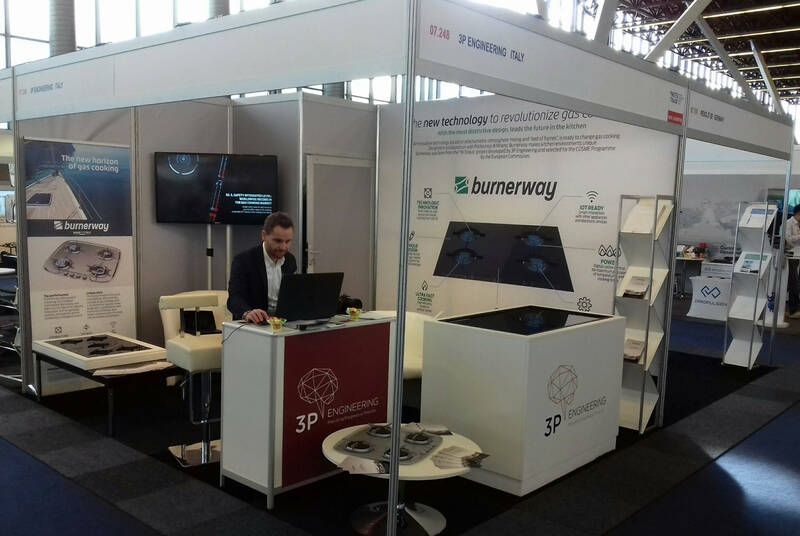 The M-Stekio / Burnerway technology has created a continuous interest at the booth of 3P Engineering at Metstrade. 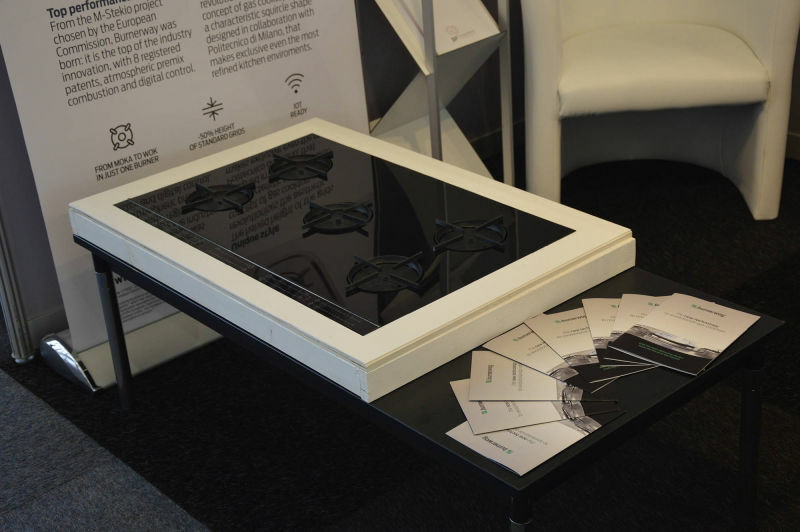 The flexible configurations of the cooktop and an interactive touch screen workstation allowed the public to test live the new technology based on eight registered patents. 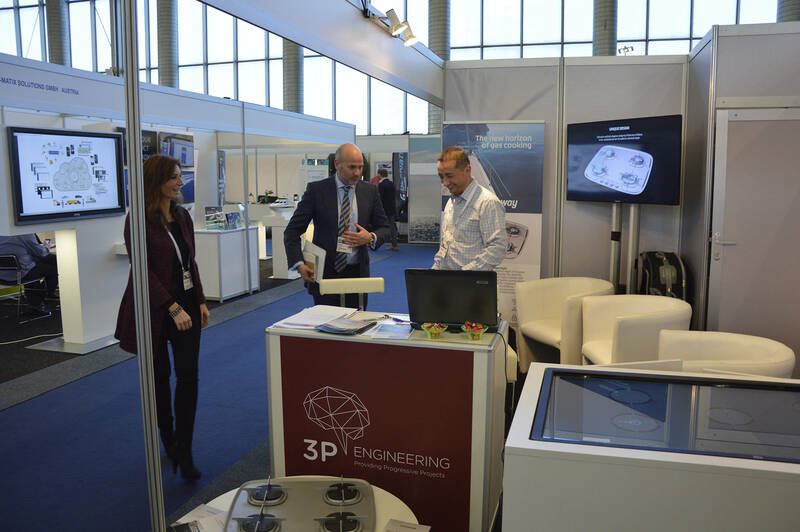 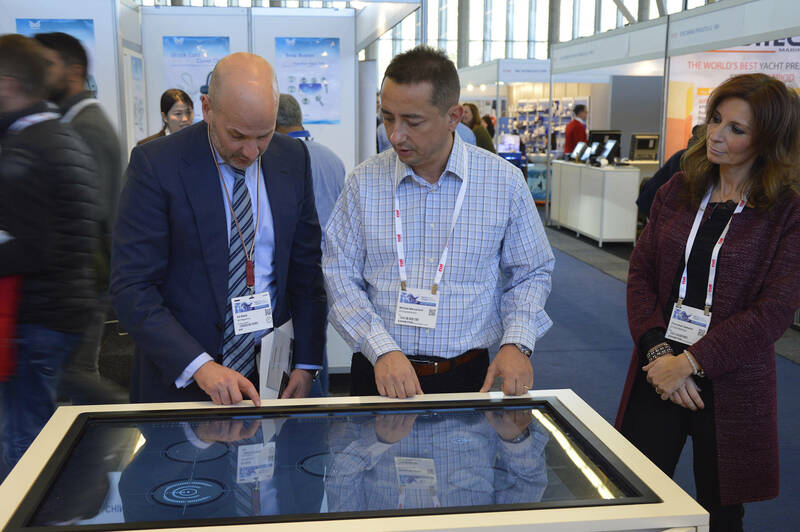 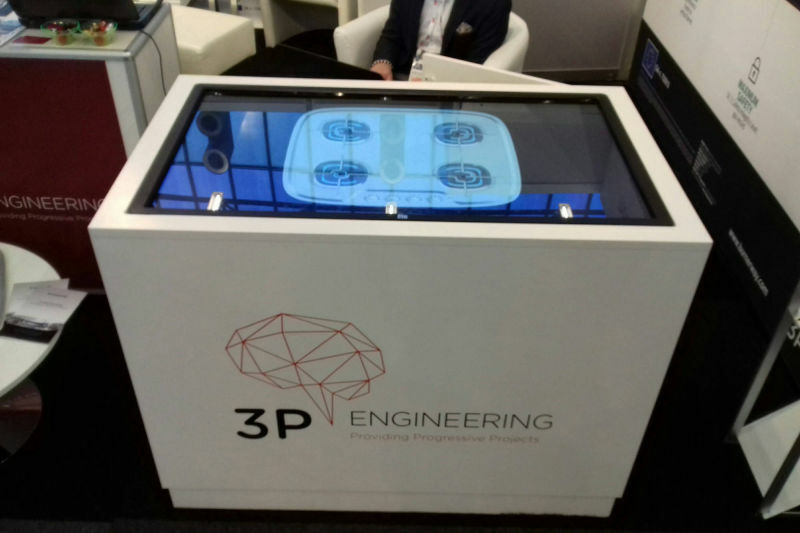 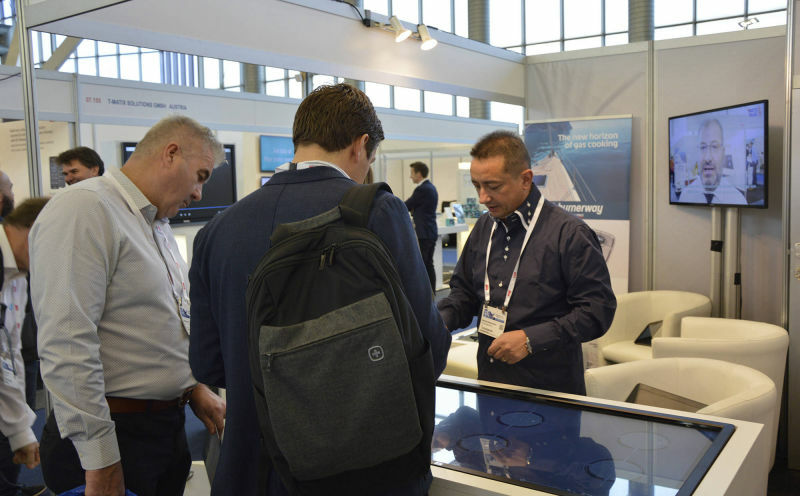 Ed Slack, Editor of IBI International Boat Industry, the European reference on the international leisure marine industry, visited 3P Engineering booth,testing M-Stekio new technology by the interactive touch-screen workstation. 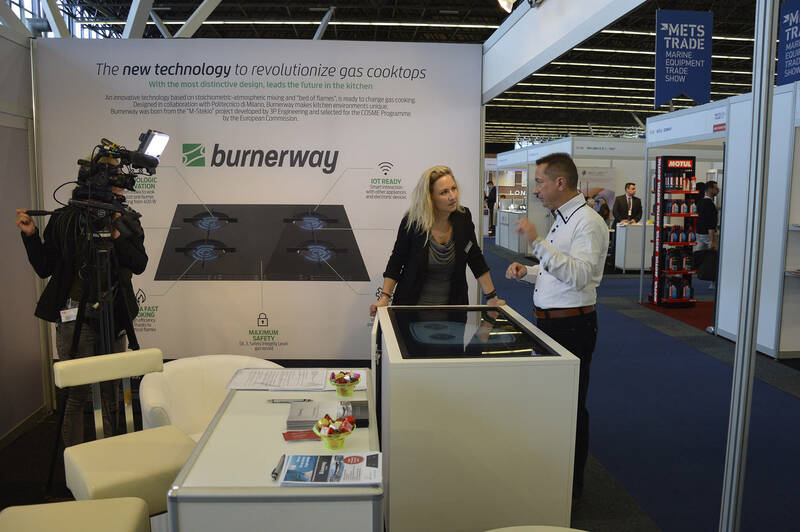 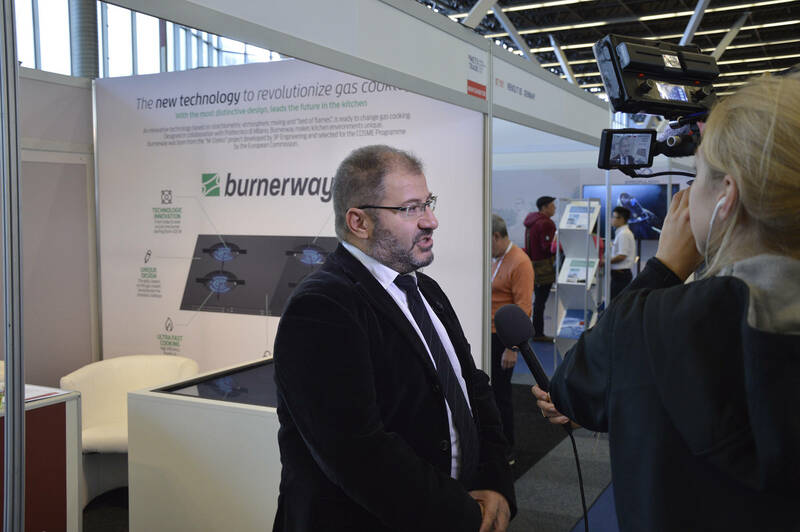 M-Stekio's innovation is the protagonist of a video at Metstrade that highlights the distinctive features of the revolutionary Burnerway technology. 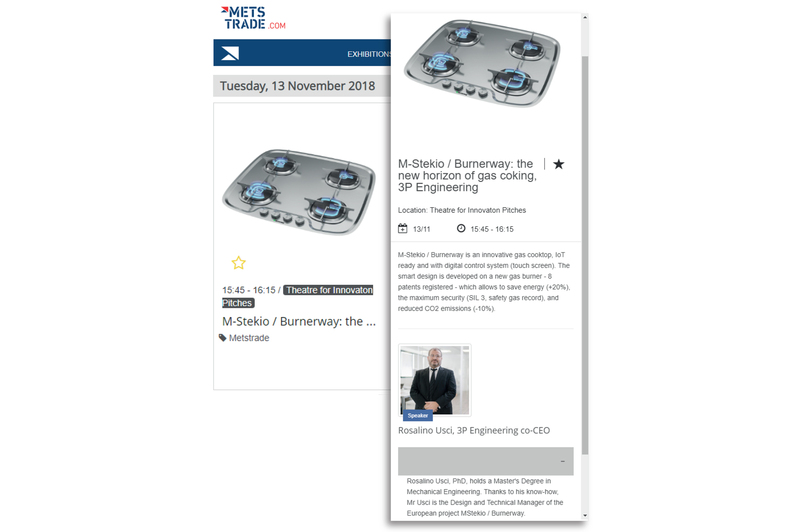 By shooting on the stand 7.248 of 3P Engineering, the video shows images of the new cooktops and interviews with the managing directors of Michele Marcantoni and Rosalino Usci, respectively Project Manager and Design & Technical Manager of M-Stekio. 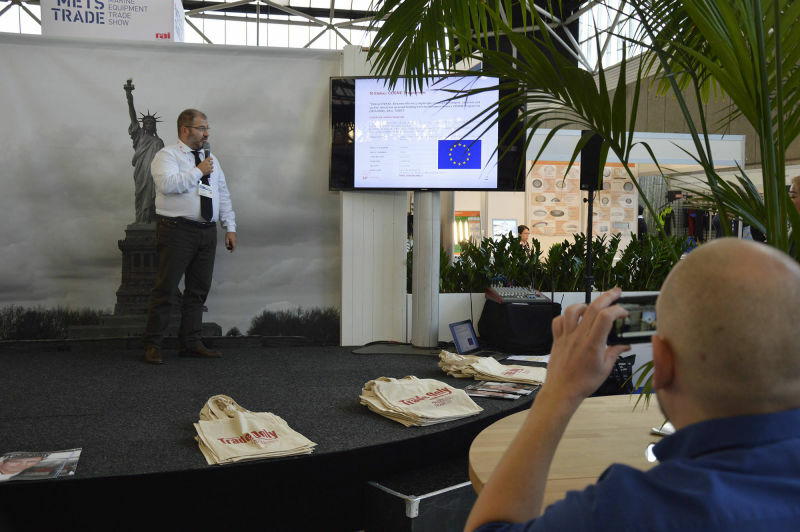 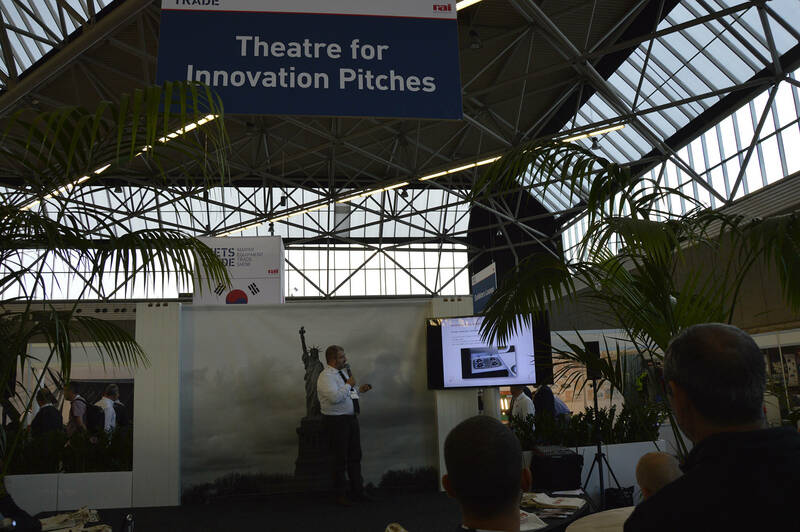 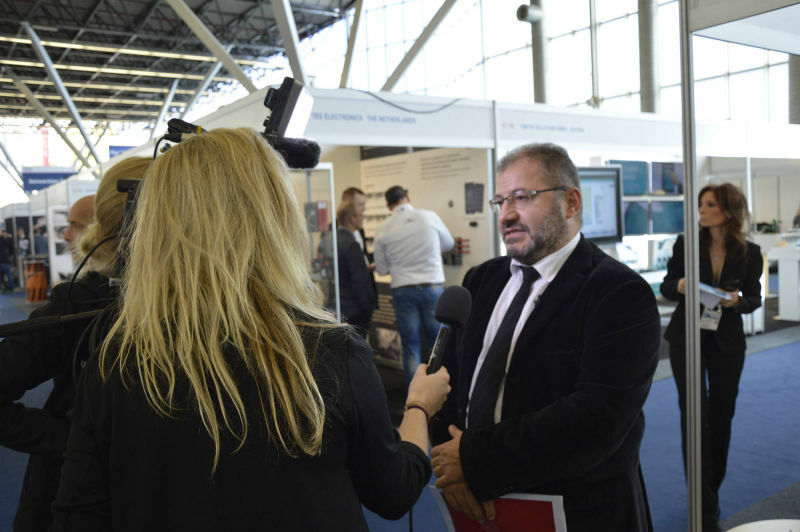 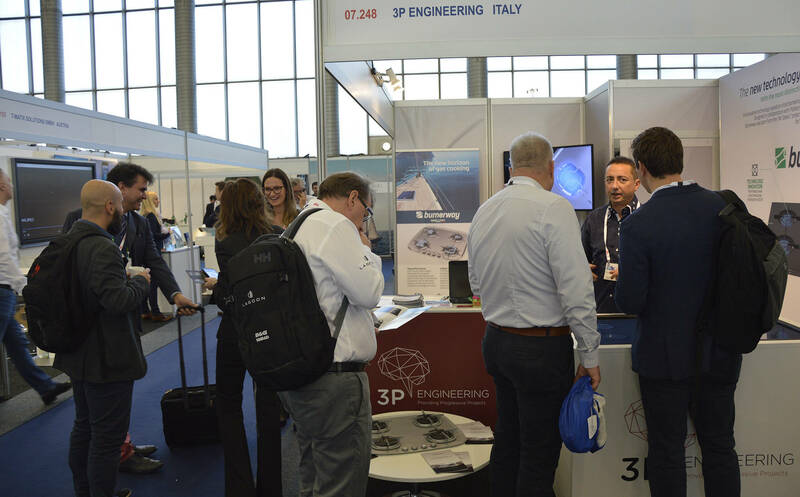 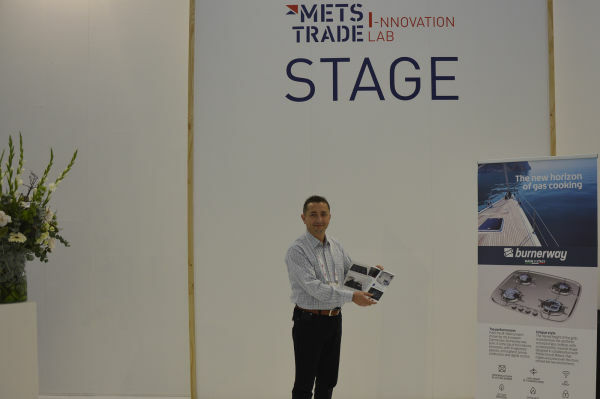 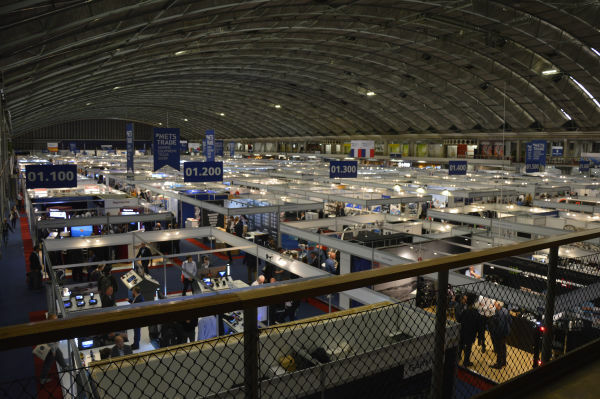 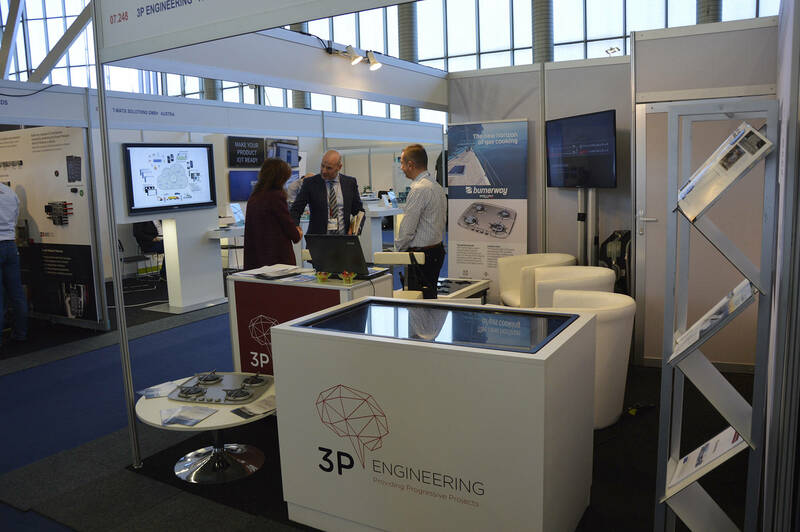 Rosalino Usci, co-CEO of 3P Engineering and Design & Technical Manager of M-Stekio, presented an international conference to announce M-Stekio at the "Theater for Innovation Pitches" at Metstrade. 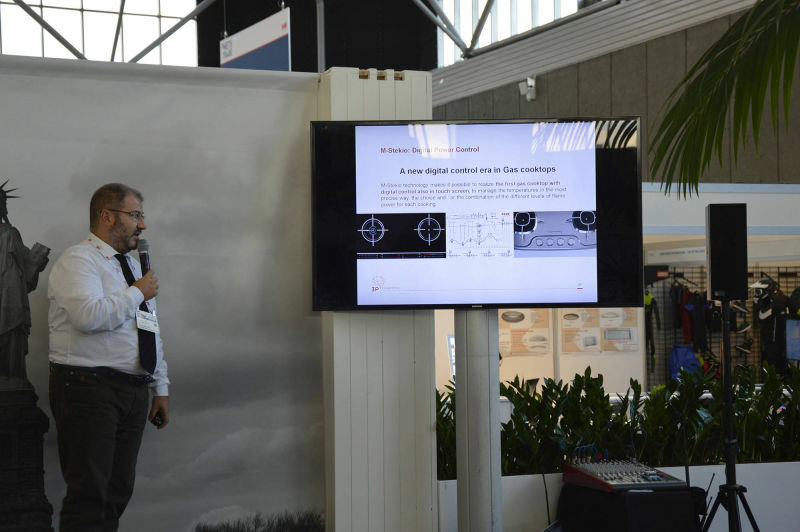 During the speech, the innovative features of M-Stekio / Burnerway were highlighted, pointing out that the project has been chosen by the European Commission for innovative scope (Cosme Programme, GA n.733513).